Condensing 65,000 miles of travel across the country, almost three years of research, and nearly 200 interviews into 1 hour and 25 minutes wasn’t an easy feat. But the process of selection says a lot about the things that mattered to us as film-makers. Matt Clarke (editor), Jon (director), and I (producer) decided to build the film’s story around two central questions: why and how someone lives off the grid. The answers do not come from our voiceover words. 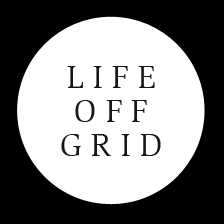 Rather, it is directly through the voices of about two dozen individuals living across Canada (most of the Canadians, some of them American and British expats) that we manage to share a wide variety of experiences and perspectives on what life off the grid means. Told as a road story moving from the West Coast to the East Coast–passing by the North Coast along the way–the film introduces at least one family per province and territory and gives viewers an intimate and candid peek into their homes, land, and life.